The Crooked Banana: Busy Week! So. It has been over a week since my last post! But I have not been idle- far from it. That was the main reason I have been so quiet. I just wanted to focus on getting my school work done as much as possible. Not that I haven't been crafting, mind you. How could I not when my amazing, wonderful, PERFECT boyfriend bought me this for my birthday? A new sewing machine!! Ahhh! I'm so happy :) Isn't he the best? And it's over two weeks early! I got it Friday and my birthday isn't until the 16th! He got it as a Black Friday/Cyber Monday deal, I think. I got it to replace one of my old ones, a Brother, that has had tension problems almost every single day and has been nothing but frustrating. The other old one, another Brother, but a very basic model, has never given me a lick of trouble- but it is also really small and has limited capabilities. Still, I plan on keeping it as a back up because it has been so faithful! I have been playing with my new toy non-stop, but I had to finish my homework I could open it (isn't he smart?). As a result, I finished all my work over a week before it was actually due just so I could spend the weekend with my new machine. 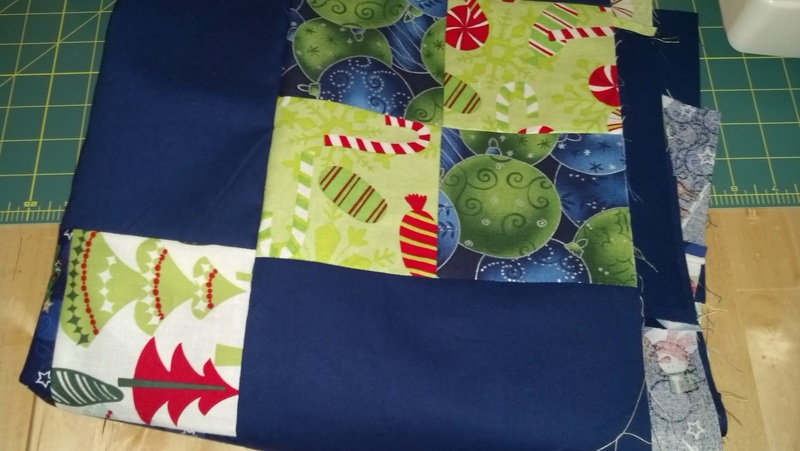 Free motion quilting practice! Weee! See? I have been busy. I know the free motion example is pretty terrible- but it was my first go! I have a couple of books on my Christmas wish list. I may also add a Craftsy class or two to that list as well :) I really want to learn how to do it well! It hasn't just been my sewing machine that has been busy, though. I also made *most* of another hat! Bringing the total up to 4 in the past couple of weeks! Last thing- promise! Thanksgiving pictures! My first Turkey :) It was delicious! so they weren't terribly pretty, but they tasted good!